It’s probably the most common car service, but it’s important. At Stonum Automotive in Longmont, we can make sure your oil change get’s done right and on time. We can do your oil change while you wait. 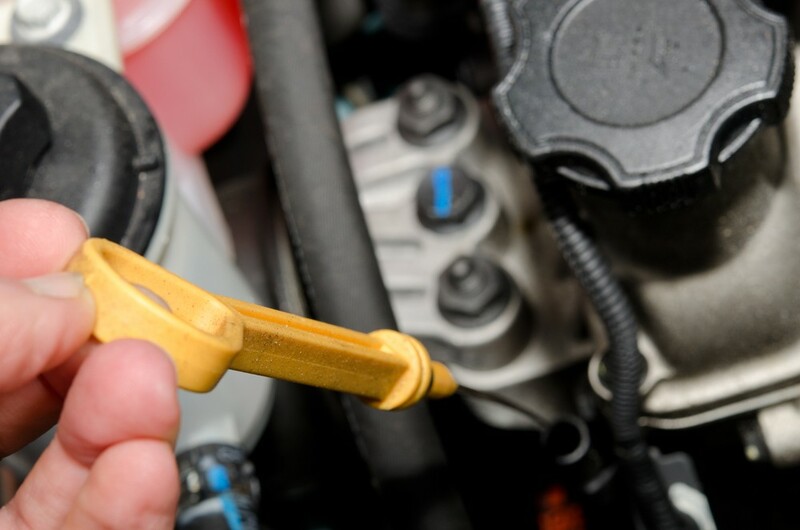 Though an oil change may seem like an inconvenience, it’s an important part of your car’s maintenance and keeps your cars’ engine running smoothly. Regular oil changes are one of the keys to a long lasting engine and vehicle. If you’re like most of us, you know that a regular oil change is one of the easiest and most useful maintenance practices you can perform for your vehicle. And if you’re like many of us, you don’t follow up and take the time to do it. And that is a mistake. Our lives are so busy and an oil change? Who’s got the time? It just continues to fall down our list of priorities, but our vehicles are one of the larger expenses we incur in life and it deserves to be given a higher priority in our list of “things to do”. Unfortunately it often takes a breakdown for us to realize just how important our vehicles are to daily life. The parts of an engine are in constant contact with each other. And they are moving back and forth over each other at high speeds and high friction. Friction is what causes wear and it is oil’s job to reduce wear, cool your engine and to prevent gunk from building up within your engine. Less wear on moving parts means they operate more efficiently, meaning maximum fuel economy, a reduction in harmful emissions and a longer life for your engine. . Less wear also keeps gaskets and seals supple resulting in fewer leaks. So is there an correct mileage interval for oil changes? The truth is, there is no one-size-fits-all answer. John Stonum says that car owners should follow the manufacturer’s recommended interval. Many modern cars have a dashboard display that monitors mileage. rpms and oil usage and tells you exactly how much life you have in your oil. Trust it. But with the innovations of synthetic oil and better-built vehicles, this interval is usually greater than 3,000 miles. Some higher end rides hold up to 10 quarts of premium synthetic oil and so their intervals can exceed 7000 miles. There has a lot of talk about synthetic versus conventional oil. While synthetic oil “comes” from conventional oil, it is simply better than conventional oil. It has been broken down to its basic molecules which not only removes most impurities, it allows the insertion of engineered additives to improve the life and viscosity of the oil, or to help keep your engine clean. Synthetic oils do not break down as quickly as petroleum-based oil which gives the user a longer interval between oil changes. This longer interval can also help recoup some of the cost of the higher priced synthetics. At Stonum Automotive, we use premium blended/synthetic oil for our basic oil changes. We fill your window wash and top off other fluids that may be low. We include a free tire rotation as well as a 29- point vehicle inspection, performed by an ASE certified professional. Maybe you have taken your car to one of those quickie lube shops in the past, looking for a short turnaround and sometimes, in a pinch, they are alright for a basic oil change but their range of expertise is extremely limited and their dedication to customer service leaves much to be desired. Or maybe you prefer to do it yourself. Sure, you can save a few bucks if you don’t mind crawling under your vehicle and hauling the waste oil away to an auto parts store, using up an hour of your time but there are many advantages to having a dedicated professional take care of this. Stonum Automotive offers expert service and years of experience to provide the insights you need to keep an eye out for trouble. An oil change performed by one of our trained technicians can catch other maintenance or repair items before they become a problem, which is why it is so important to develop a good relationship with your mechanic. Our basic oil change takes between 45 minutes and an hour the extra time is worth it. You will get far more out of our service. We will get to know your vehicle and keep an accurate record of maintenance for you and your vehicle. All oil changes at Stonum Automotive are performed by skilled ASE professionals, who are eager to deliver great customer service and high quality vehicle care. We want to make sure you return to Stonum Automotive, not just for oil changes, but for all your vehicle service and maintenance needs. An oil change is one of the best things you can do for your trusted ride. It will save you money in the long term, both in potential repairs and in fuel costs. And really, what would you prefer; the ease of planning to be without your vehicle for a short time while we give your car a little attention or the hassle of breaking down on the side of a dark and wet road? Call us 303-485-9303 and we’ll take care of you.